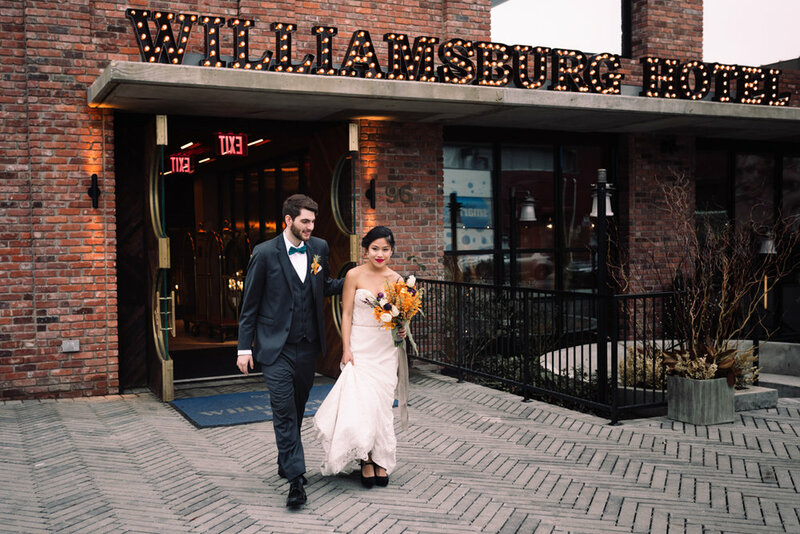 Styled Shoot // Brooklyn Industrial Glam at the Williamsburg Hotel — Catalyst Wedding Co.
It’s evident even before you enter through the fabulous glass and gold doors of the brand new Williamsburg Hotel in Williamsburg, Brooklyn, that you’re in for a stylish treat. 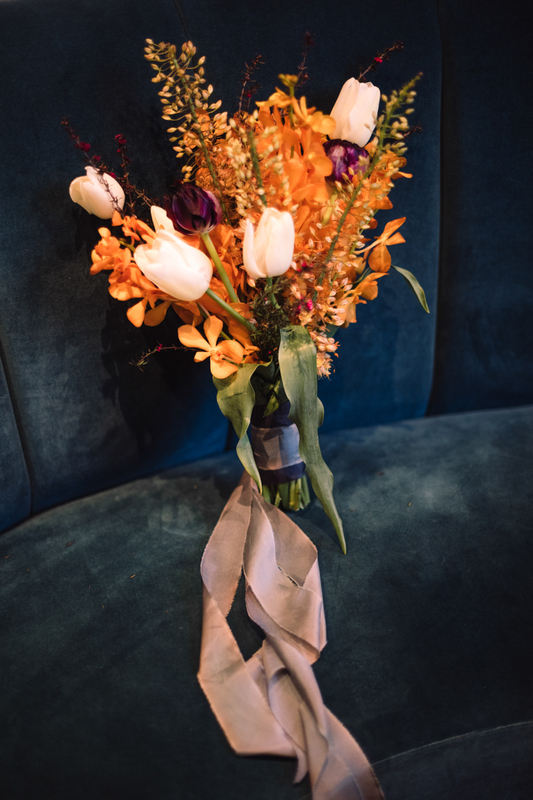 We fell in love with the saturated jewel tones and the instant glamorous feel of the hotel’s interior decor set against the industrial feel of the building itself and the lovely views of the New York City skyline. 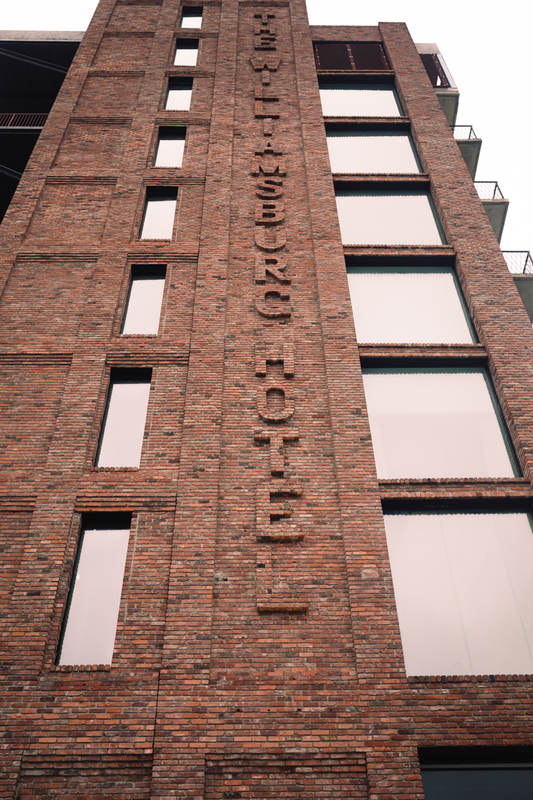 The Williamsburg Hotel has thought of every detail for their guests, planning to convert the land between their building and the water into green spaces and offering their popular afternoon tea (open to the public!) with the most colorful tea sets we’ve ever seen. 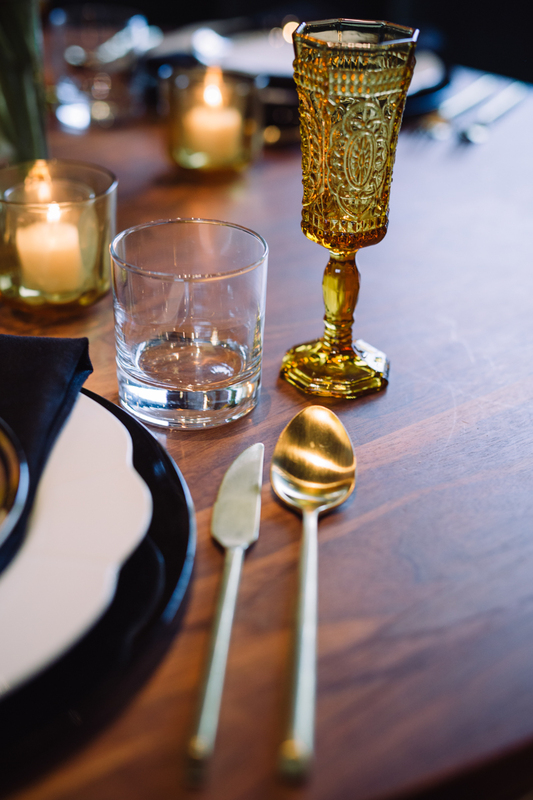 Planner Justina Michaels of Fitting Fêtes designed the shoot, choosing amazing vendors who were as eager to create something inspired by Williamsburg’s newest jewel as we were. 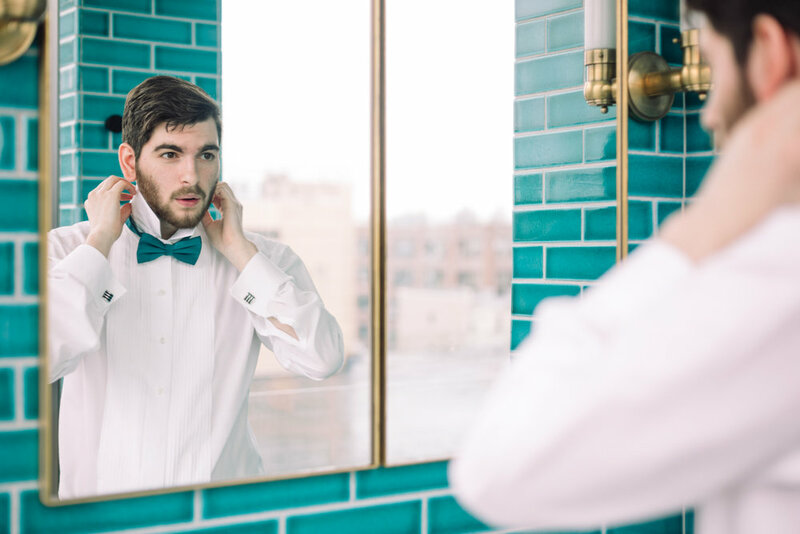 A significant focus of this inspiration shoot was on impactful and stylish details. From the unique mix of geometric pattern and calligraphy of stationery and signage by Cut Above Stationery, the custom written vows by Daniela at Once Upon a Vow, sustainable linens from The Bayith, the incredible pop of color in the florals by Rose Red and Lavender, and the classic pieces with modern flourishes from Party Rentals Ltd. all of the decor was carefully styled by Soiree & Cabernet to highlight but not overpower the features of the Williamsburg Hotel. Who could resist the geometric design and color of the cupcakes provided by Kah-Pu Fine Foods and the delicious citrus passionfruit cake from Baked? All of the fashion from Rebecca Schoneveld, Loulette Lingerie, and Tuxedo by Sarno featured classic silhouettes and eye-catching details that fit the aesthetic and flattered our models. 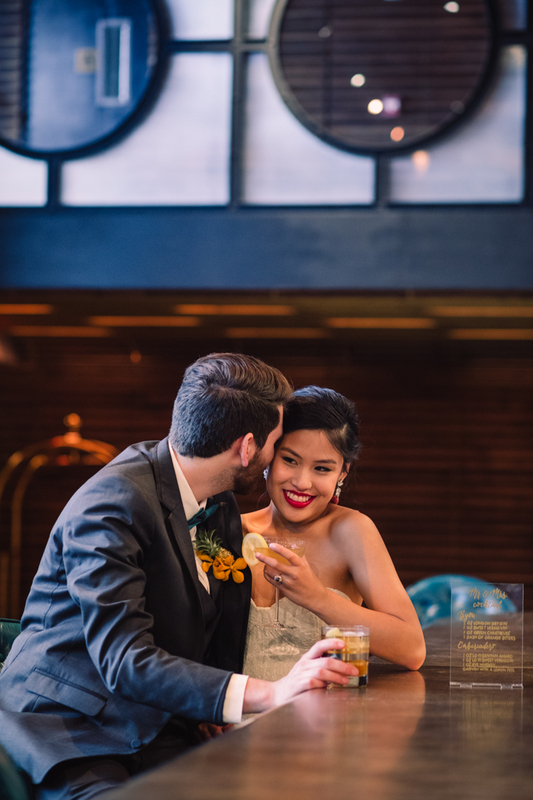 The unique color and setting of the Riley engagement ring from Victor Barboné, accompanied by a slim gold band, also from Victor Barboné was a perfect compliment to the silver groom’s band from Digby and Iona. Unique accessories perfect for the modern bride from Happily Ever Borrowed and Hushed Commotion were used to finish off the bridal fashion. 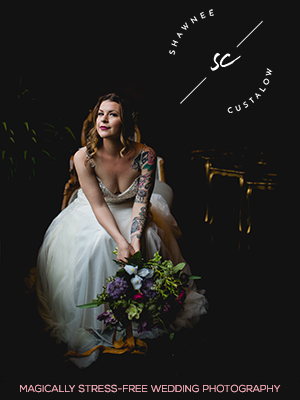 Both the soft boudoir look of classic curls and refined makeup and the elegant updo with a classic red lip were perfectly executed by Bespoke Beauty and Bridal to highlight the lovely features of our bride model. It was beautifully captured by Leah Coppotelli Photography. Written by Rima Brindamour. Photos by Leah Coppotelli Photography. Rima Brindamour is a Brooklyn wedding photographer and videographer known for her illuminated portraits and timeless style. 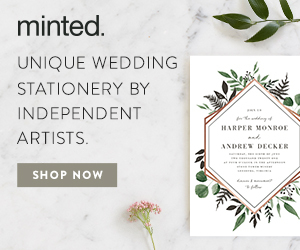 She is based in Brooklyn, New York and available for destination weddings worldwide. 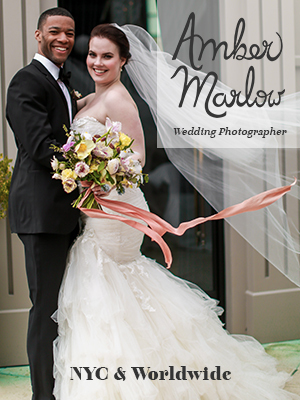 Please contact Rima to discuss your WEDDING, PORTRAIT, or BOUDOIR session. 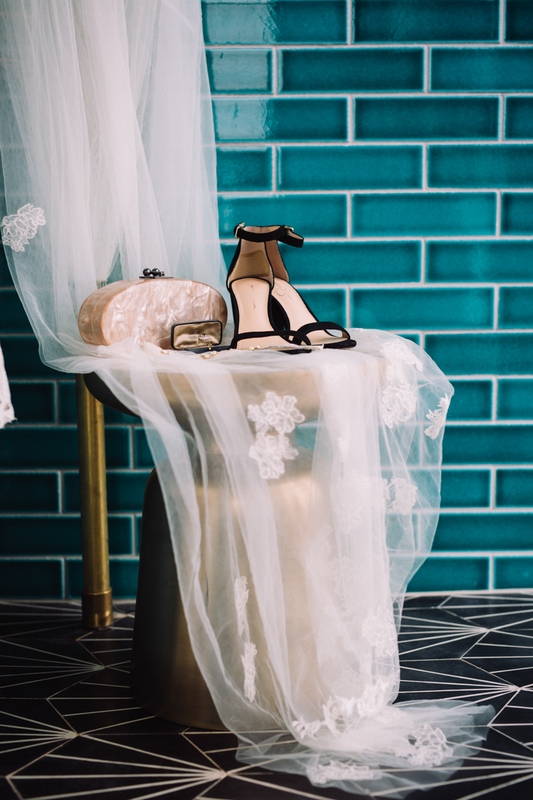 Leah Coppotelli is an equality-minded wedding, boudoir, and editorial photographer located in the greater Baltimore and Philadelphia areas. She aims to tell timeless stories of the love and emotions of couples' journeys through this crazy thing called life. Leah loves working with couples of all shapes, sizes, colors, and genders to authentically tell their stories. When Leah isn't capturing memories of fun, stylish, crazy-in-love couples she loves cuddling her rescue dog, breaking into spontaneous song and dance, indulging in a quality book, and dreaming of sweets. Justina Michaels is the owner of Fitting Fêtes, a fine art event planning and design company started in Paris and based in New York City. Her approach is uniquely based on the idea that all events should represent the people that are being celebrated, in every way possible. Fitting Fêtes loves personalization while still maintaining an overall feeling of elegance and warmth. Justina loves people and is grateful for the opportunity to work with couples and families from all of the world and from every walk of life. Please stop by our site and say hello. I can’t wait to meet you!